Subtropical Storm Beryl is just off the East Coast tonight. Not very impressive to see. Subtropical? When did that happen? How does it differ from a tropical storm? Bad news first. If you’re in the path, subtropical or tropical will feel the same. Both have moderately strong winds and lots of rain. Last night one satellite estimate showed a small area (of ocean) getting two inches of rain per hour! The difference is much more important for those of us who forecast. It centers on the storm’s core. The thunderstorms within tropical storms are part of an amazing chain. Warm humid air is drawn in from the surface creating towering ice clouds to 50,000 feet or more! There are strong horizontal winds, but there are strong vertical winds too! In a subtropical system the thunderstorms and convection are taking place, but at lower heights. That limits intensification and strength. 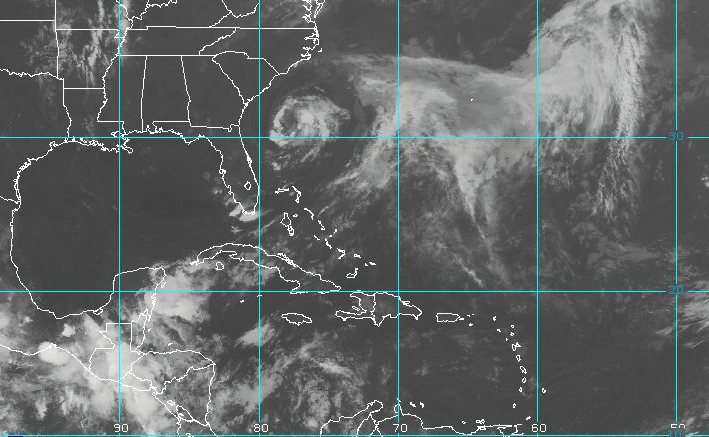 Tropical and Subtropical Storms are easy to distinguish on satellite imagery. The subtropical has a much larger cloud free center. My friend Bob Hart, a professor of meteorology at Florida State University, has a website which shows the transition through these different phases of a storm’s existence. It’s an interesting and useful forecast tool to have. It’s easy to see the level at which Bob researches and understands tropical weather. Subtropical system do become hurricanes, though they must become a tropical storm first. We are still very early in the season. It’s tough for any storm to get very strong. Normally the second named storm comes August 1.